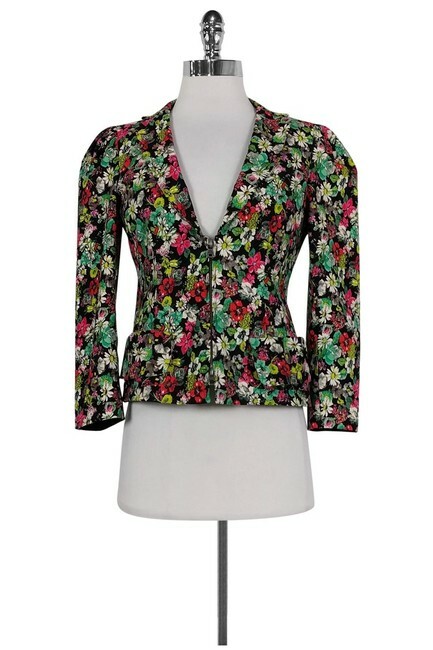 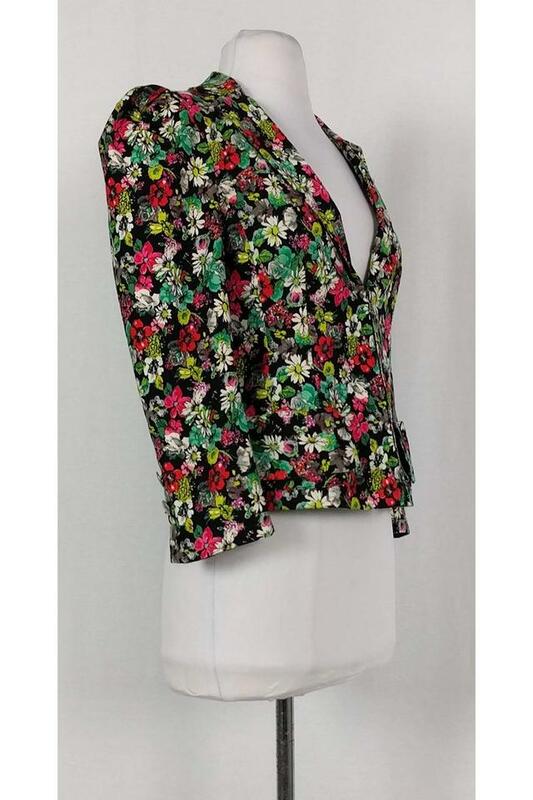 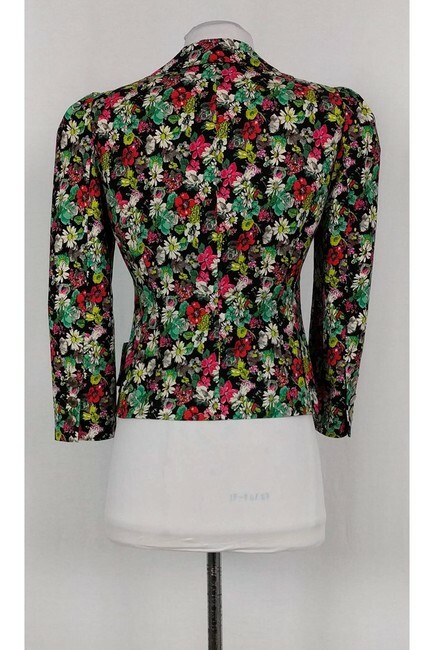 Fun floral blazer in multi-color. 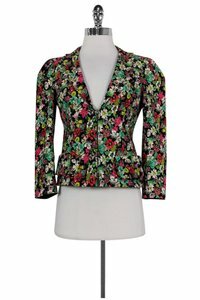 This bold garment is bound to add a fun flair to any look. 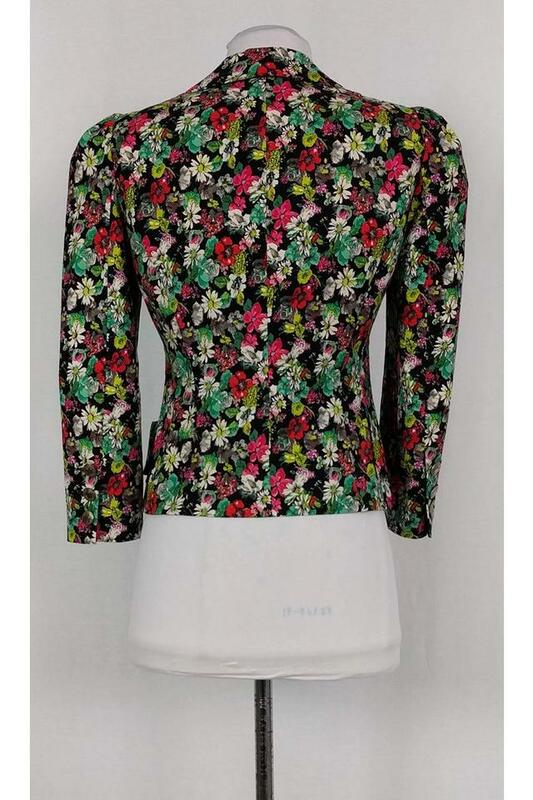 Layer it with a thin tank and your favorite pair of skinny jeans.